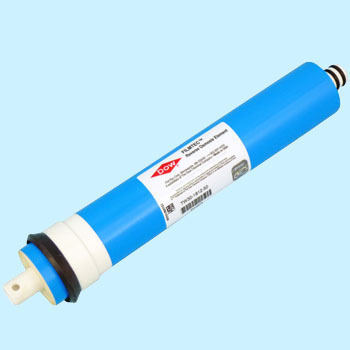 We are using a number of reverse osmosis membrane water purifier maintenance. Because it has a tool to open the container containing this for filter exchange, maintenance is done easily at low cost. This review is about item#40249002. Since it was hard to maintain purity with only ion exchange resin, we inserted RO membrane. It can be set easily if it is a special case. However, since the connection port is loose and water leakage occurs, it occupied considerably. Naturally, the purity is improved and the lifetime of the ion exchange resin seems to be extended. I think that raising the water pressure with the boost pump is the mast to earn the flow rate. The price was not the cheapest in the available RO. When we activated the activated carbon filter and let it pass through the permeable membrane, the tap water was about 145 - 155 and it fell to 4. I am satisfied with sufficient level. This review is about item#40249011.